So you’ve decided to make the move into IT consulting? As an IT consultant myself, I can tell you it’s an interesting career and is quite challenging and rewarding. However, the process to get an IT consulting job can be a bit confusing. Let’s take a look at some ways you can find IT consulting jobs. First of all, I’d like to clarify that by IT consulting I mean you work as sole operator, consulting yourself out to other clients (also known as an IT contractor), or you are employed by a consulting firm who then sends you out to clients. Both of them are different than normal, full-time work, but the tips below apply to both kinds of IT consulting jobs. The first step to finding a job as an IT consultant is to determine what kind of service you can provide, or what kind of role you can do. This will come back to your education and experience. What are you good at in the IT industry? What are you qualified to do? It’s useful to find a specific role to consult as, rather than just a general IT consultant. This will help you get a client or job, as clients are usually after more specialised people. For example, rather than think of yourself as simply an IT consultant, try to narrow down your role to what area you actually work in. A role such as “Network Consultant” may be suitable if you’re knowledgeable about networking. A “Project Management Consultant” would be a suitable role for all the project managers here. The next step is actually looking for IT consulting jobs. There are two main ways that I think are the most useful. 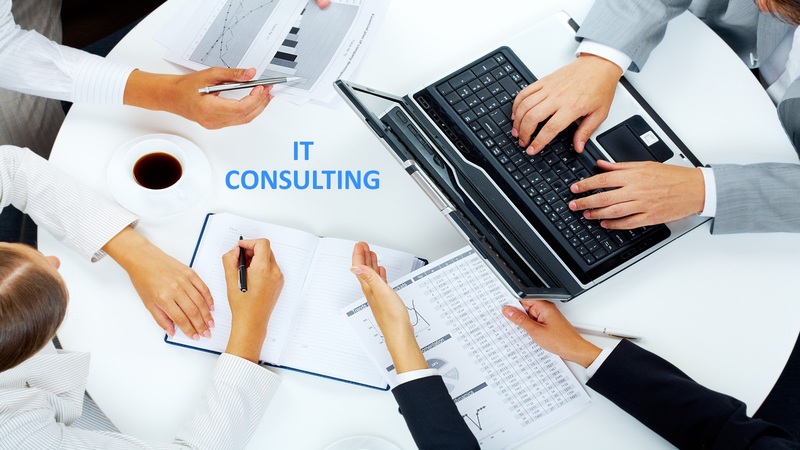 A great way to find IT consulting jobs is to get in touch with your network. Your network is the group or collection of people that you have met and worked with in your IT career. Past co-workers, managers, current co-workers, people you’ve met at industry events – these kinds of people would come under your network. It can be a good idea to contact them to find out if there are any consulting roles available, or if there is any need for a consultant. There are many benefits to companies for hiring a consultant, including no need to supply benefits and the option of short-term roles, so remember to promote that to the potential client. You can reach out to your network in many ways. My favourite way of doing this is via LinkedIn, the social network for professionals. Connect to other people that you have worked with in the past, or are currently working with, if you haven’t done so already. Once you’ve connected with people, you can contact them. Feel free to ask them about any IT consulting jobs, or if they are interested in your services. Try to work on developing a relationship and a conversation with them, rather than just asking them if they have any jobs. Another way to reach out to people that you know is using the traditional email method. You may have the email addresses of people you’ve worked with in the past, or currently work with. Do the same thing with these people, speak to them, strike up a conversation and ask if there is a need for your consulting services. Job websites have many traditional or “permanent” roles available for companies. However, they also have jobs available for consulting roles. These roles are usually where you are employed by a consulting company, who then send you out to other clients. Perform a search for “consulting” or “consultant” on your job site (Dice, Indeed, Monster are just some suggestions). This should give you quite a range of advertisements for IT consulting jobs. You can further refine this search by adding the type of consultant you believe you can be (as we mentioned before), such as “Network Consultant”. You can find more targeted and focused jobs that will better fit what you’re looking for.